Synthesis of Probes for custom qPCRs built according to your specific instructions. Molecular Beacons (Dual-Labeled Probes) are available. The research activity of the Microgem focuses on the study of mechanisms that regulate the proliferation and differentiation of cancer cells and biological molecules involved in such processes. An overview of the entire transcriptoma and proteoma obtained through the use of microarrays and massive parallel sequencing techniques, thanks to the instrumentation and know-how provided by the laboratory, highlighted some interesting molecular pathways that are currently being studied. Microgem's participation in research activities has made it possible to create a series of services to support the researchers. The Microgem Laboratory is involved in developing third-party research projects in genomic and proteomic areas. From sample preparation to bioinformatics data analysis. 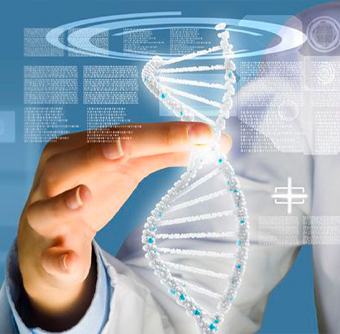 Microgem Lab offers you technical support and know-how for microarray and sequencing projects. After receiving the samples, our researchers will evaluate their integrity and purity. The results of this analysis will be sent to the researcher before proceeding with the next steps of the service. A free consultation will be provided for project optimization (number of samples to be analyzed, methodology, costs). Treatment of samples according to standardized procedures. The sample to be analyzed must meet integrity and purity requirements that must conform to the standards adopted in the Microgem Laboratory. Bioinformatics analysis is foreseen for each activity described (type of service). For the type of bioinformatics analysis see the specific service.